Norwegian music site GAFFA is giving music fans the chance to vote for their faves in their annual music awards, now into their third year. 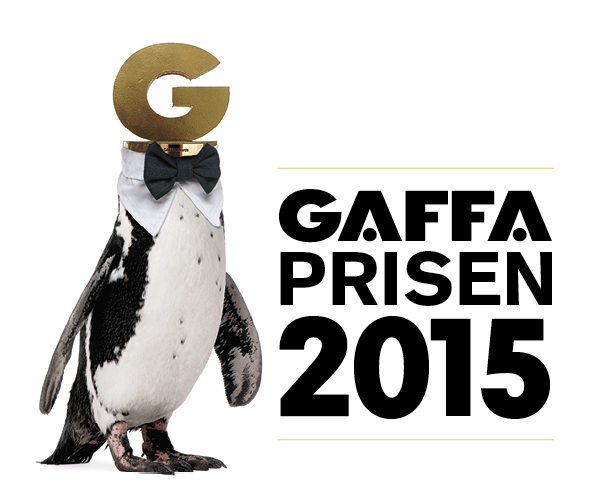 Gaffa Prisen 2015 – see here – has the usual bill of fare – Best Norwegian Album, Single, Group, Solo Artist, Newcomer, all of which are replicated under international categories. 2014’s winners included Emilie Nicolas, OnklP & De Fjerne Slektningene and Highasakite (known this side of the North Sea for their remix of the Sasha Siem hit ‘See Through’). On last year’s International front, it was no surprise to see the gongs go to perma #Happy, Pharrell Williams, and professional award-sweeper, Ed Sheeran, always a fave on these shores – if you don’t know why, erm, the name and red hair should be a clue!! To entice your votes, Gaffa have some hot prizes up for grabs, including a wireless speaker system from Hi- Fi Club and two festival passes to Danish festival, Roskilde 2016. You can only vote once and voting closes on 6th December. GET YOUR VOTE ON – HERE.